Now – This is a 2019 photo of the same location. 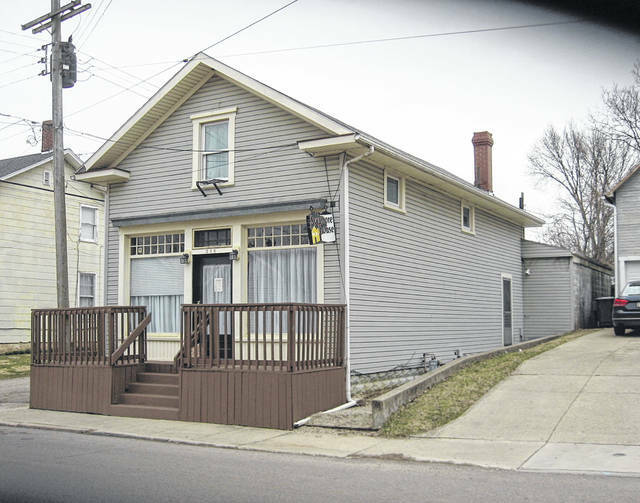 Note how little the building has changed except for the railed porch. Currently, the building is the Sycamore House, Pregnancy and Family Life Center of Champaign County. The Champaign County Historical Society is an all-volunteer, not-for profit organization that preserves, protects, archives and displays the artifacts that tell the Champaign County story. The society depends upon donations and dues to provide a free public museum, which is open 10 a.m.-4 p.m. Mondays and Tuesdays.